The boys of Blurry Photos ring in the new year with another controversial yet fascinating historical figure, Rasputin. 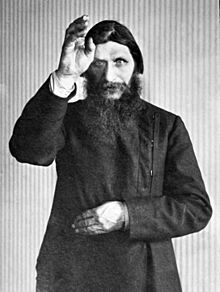 Born a peasant in Russia’s unforgiving Siberia, Rasputin led a life that has made him a hero to some and a villain to most. David and David sift through the history of this man as well as the propaganda that has been tacked onto him throughout the years, and help you get acquainted with one of Russia’s most infamous characters. Pour yourself some Vodka and get ready for the first episode of 2013!